'Brown Imp' (James and Lucy Fry, R. 1986). Seedling #76-F-4. MDB, height 6" (15 cm). Midseason bloom. 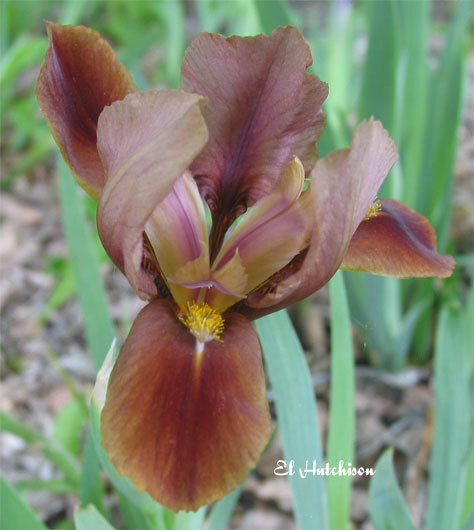 Standards light brown; falls velvety dark red-brown, edged light brown; gold beards. Brizendine seedling Seedling #MB-26-65 X 'Little Chestnut'. J & L Iris 1987. Honorable Mention 1990.